2015 September | KP and the BOOM BOOM | "Our music is about positivity, it’s about having a good time"
WEEEEE’RE BAAAAAAACK! It was such a killer party last time that we’re bringing you round 2! Con Brio (San Francisco) and KP and the Boom Boom at Lambert’s on Friday, October 9 for the Official 2015 ACL Fest Late Night Show! You better hurry and get your tickets here, because the damn thing is almost sold out already! Everything we’re typing right now has exclamation points! It’s because we’re so stoked about the show! See you there aaaaahhhhh! 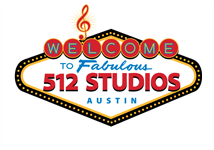 512 Studios is producing a TV series of live, in-studio performances by select bands from Austin, TX, and guess what – KP and the Boom Boom is one of them! We thrilled and honored to be included in this exciting new series. You can catch each episode on The CW Austin as well as on YouTube. In fact, why don’t you check our our episode right now? Special thanks to Omar Vallejo and Jared Aja at 512 Studios!